Ascendis Pharma A/S (NASDAQ: ASND) gained 74 percent to close at $120.60 after the company disclosed that its TransCon Growth Hormone trial met its primary endpoint. Yangtze River Port and Logistics Limited (NASDAQ: YRIV) shares surged 70.47 percent to close at $0.7702 on Monday after the company disclosed in its annual report a defamation lawsuit against Hindenburg Research, Nathan Anderson, ClaritySpring Securities, LLC, and ClaritySpring Inc for orchestrated market manipulation. Nightstar Therapeutics plc (NASDAQ: NITE) rose 66.09 percent to close at $25.18 after the company agreed to be acquired by Biogen Inc (NASDAQ: BIIB) for $25.50 per share in cash. China Internet Nationwide Financial Services Inc. (NASDAQ: CIFS) shares gained 52.62 percent to close at $4.96 on Monday after climbing 45.09 percent on Friday. Key Energy Services, Inc. (NYSE: KEG) shares rose 40.3 percent to close at $3.76. Jupai Holdings Limited (NYSE: JP) shares gained 32.06 percent to close at $5.52. Cool Holdings, Inc. (NASDAQ: AWSM) shares gained 25.98 percent to close at $3.2250. Phunware Inc. (NASDAQ: PHUN) shares gained 20.5 percent to close at $33.50. Manning & Napier, Inc. (NYSE: MN) rose 18.06 percent to close at $2.68. Planet Green Holdings Corp. (NYSE: PLAG) shares gained 17.35 percent to close at $3.99. PolarityTE, Inc. (NASDAQ: PTE) gained 17.12 percent to close at $14.64. Bluegreen Vacations Corporation (NYSE: BXG) shares gained 17.09 percent to close at $15.76 following earlier press release from BBX Capital highlighting intent to take the company private through short-form merger at $16 per share in cash. Luna Innovations Incorporated (NASDAQ: LUNA) rose 15.59 percent to close at $3.93 after the company reported better-than-expected Q4 EPS and sales estimates and issued strong FY19 guidance. The company also announced the acquisition of General Photonics for $20 million. Digital Ally, Inc. (NASDAQ: DGLY) shares gained 15.48 percent to close at $4.85. Vuzix Corporation (NASDAQ: VUZI) rose 14.94 percent to close at $3.5400. 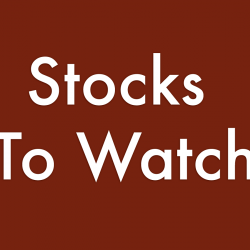 Sienna Biopharmaceuticals, Inc. (NASDAQ: SNNA) shares gained 14.8 percent to close at $2.87. Anavex Life Sciences Corp. (NASDAQ: AVXL) rose 13.6 percent to close at $2.59. Blink Charging Co. (NASDAQ: BLNK) jumped 12.75 percent to close at $3.89. Adverum Biotechnologies, Inc. (NASDAQ: ADVM) gained 12.07 percent to close at $4.92. NuCana plc (NASDAQ: NCNA) climbed 11.98 percent to close at $12.90. AgroFresh Solutions, Inc. (NASDAQ: AGFS) gained 11.71 percent to close at $4.96. Remark Holdings, Inc. (NASDAQ: MARK) climbed 11.17 percent to close at $2.29. XpresSpa Group, Inc. (NASDAQ: XSPA) jumped 10.88 percent to close at $4.18. Cardiovascular Systems Inc (NASDAQ: CSII) rose 10.4 percent to close at $39.90 after S&P Dow Jones Indices announced the company will replace Nutrisystem in the S&P SmallCap 600. Voyager Therapeutics, Inc. (NASDAQ: VYGR) gained 10.24 percent to close at $18.19. Clear Channel Outdoor Holdings, Inc. (NYSE: CCO) climbed 10 percent to close at $5.50. Biopharmx Corp (NYSE: BPMX) shares rose 8.63 percent to close at $0.1120 after the company reported that it has completed enrollment in Phase 2b trial of BPX-04 for patients with papulopustular rosacea. Arcadia Biosciences, Inc. (NASDAQ: RKDA) rose 7.63 percent to close at $7.76 after the company disclosed that it has received its first Industrial Hemp Pilot Program License by Hawaii’s Department of Agriculture. Aclaris Therapeutics, Inc. (NASDAQ: ACRS) rose 7.58 percent to close at $6.81. India Globalization Capital, Inc. (NYSE: IGC) rose 6.43 percent to close at $2.98 after surging 14.29 percent on Friday. Arsanis, Inc. (NASDAQ: ASNS) shares gained 5.84 percent to close at $3.08. China Automotive Systems, Inc. (NASDAQ: CAAS) gained 5.79 percent to close at $3.84. IntelliPharmaCeutics Intl Inc (NASDAQ: IPCI) rose 5.42 percent to close at $0.29 after the company announced the resubmission of its New Drug Application to the FDA for its Oxycodone ER. Harte Hanks, Inc. (NYSE: HHS) shares gained 5.3 percent to close at $4.17. Takeda Pharmaceutical Co Ltd (NYSE: TAK) rose 5.24 percent to close at $21.48 after the company reported a partnership with Lupus Therapeutic Partners to begin Phase 1 trials for lupus treatment. Evoke Pharma, Inc. (NASDAQ: EVOK) shares tumbled 57.24 percent to close at $1.30 on Monday after the company received a DR letter from the FDA on its Gimoti New Drug Application. The letter describes concerns in three sections of the NDA. Bio-Path Holdings, Inc. (NASDAQ: BPTH) declined 28.76 percent to close at $5.50 on Monday after surging 196.92 percent on Friday. Atlas Financial Holdings, Inc. (NASDAQ: AFH) dropped 24.78 percent to close at $6.80. Atlas Financial posted Q4 loss of $4.47 per share. Intrexon Corporation (NASDAQ: XON) shares fell 18.18 percent to close at $4.14. Intrexon and Surterra Wellness announced plans to collaborate on Botticelli next generation plant propagation for cannabis cultivation. Endo International plc (NASDAQ: ENDP) shares dropped 16.99 percent to close at $9.33. Sequential Brands Group, Inc. (NASDAQ: SQBG) fell 16.42 percent to close at $1.68. NantHealth Inc (NASDAQ: NH) dropped 16.08 percent to close at $0.9399 in a potential selloff after the stock gained over 100 percent on Friday. Social Reality, Inc. (NASDAQ: SRAX) shares dropped 14.11 percent to close at $2.80. Healthcare Services Group, Inc. (NASDAQ: HCSG) dropped 13.14 percent to close at $32.78. Liquidia Technologies, Inc. (NASDAQ: LQDA) shares declined 12.99 percent to close at $17.41. AAC Holdings, Inc. (NYSE: AAC) dropped 11.5 percent to close at $2.54. Windstream Holdings Inc (NASDAQ: WIN) shares fell 11.34 percent to close at $0.3300 after the company announced it will be delisted from Nasdaq by March 6th. Hawaiian Holdings, Inc. (NASDAQ: HA) fell 10.94 percent to close at $26.38. Childrens Place Inc (NASDAQ: PLCE) fell 10.34 percent to close at $84.82 after the company reported downbeat Q4 results and issued weak guidance. The company also announced plans to acquire IP assets of Gymboree and Crazy 8 for $76 million. BioLife Solutions, Inc. (NASDAQ: BLFS) fell 10.25 percent to close at $17.43. Maxar Technologies Inc. (NYSE: MAXR) dropped 9.95 percent to close at $5.25. Translate Bio, Inc. (NASDAQ: TBIO) shares declined 9.87 percent to close at $9.22. Xenetic Biosciences, Inc. (NASDAQ: XBIO) shares fell 9.72 percent to close at $2.23 after the company announced plans to acquire CAR T technology platform. Foresight Energy LP (NYSE: FELP) shares dropped 9.7 percent to close at $2.9800. Avon Products, Inc. (NYSE: AVP) shares declined 9.69 percent to close at $2.89. Tailored Brands, Inc. (NYSE: TLRD) shares fell 9.64 percent to close at $11.91. OHR Pharmaceutical, Inc. (NASDAQ: OHRP) shares fell 7.95 percent to close at $2.20. Okta, Inc. (NASDAQ: OKTA) shares fell 7.95 percent to close at $79.56 after analysts at SunTrust Robinson Humphrey downgraded the company's stock from Buy to Hold. Tonix Pharmaceuticals Holding Corp (NASDAQ: TNXP) shares fell 7.5 percent to close at $1.8500 after reporting a buyback of up to $2 million. Enbridge Inc (NYSE: ENB) fell 5.88 percent to close at $35.06 following media reports the company's Line 3 pipeline would be delayed 1 year and the stock was downgraded by an array of banks. Magic Software Enterprises Ltd. (NASDAQ: MGIC) fell 5.74 percent to close at $8.71 following weak Q4 results. Bed Bath & Beyond Inc. (NASDAQ: BBBY) fell 5.33 percent to close at $15.80. Barclays downgraded Bed Bath & Beyond from Equal-Weight to Underweight.